At one time or another we were all the new kid at the office. You likely don’t know anyone or your way around the cubicles. Where’s the bathroom again? You introduce yourself to everyone hoping to make a new connection — and fast. You put on a smile, put your head down and work hard to prove that you are in fact worthy and capable of the job you just landed. And if it doesn’t get off to a great start, you likely won’t stay. According to research conducted by the Aberdeen Group, 86 percent of new hires make their decision to leave or stay within the first six months. That’s why a good onboarding experience is critical to both the employee and the company. So how do you get it right? Yes, part of the onboarding experience can potentially be dull and boring. Showing the new employee their workspace, handing them the employee manual, and providing them with some training. But instead of just walking through the necessary steps, make it fun. The presenter is the first person the new hire is interacting with and if they’re not excited that will translate over the employee. Plus, if the experience stops with the basics, you’re missing a crucial part. Help the new employee understand who you are as a company and how their role plays an important part. What are the company’s goals, values, and mission? Send every new hire a welcome card personally signed by each team member and leaders in the organization. This lets the new employee know how excited the company and team is to begin working with them. Creating an emotional connection between the new hire, the organization, and their new team, will help them feel welcome, less stressed, and more team-focused. This translates into lower turnover rates. You can’t recognize an employee too early or too often during their first year. They need to know they’re appreciated, and their work is making a difference in the company. Start on day one. Give the new hire something tangible and symbolic of their role in the company. I once received a key chain with the company logo on it and a card saying I held the “keys to success.” It was a nice touch and made me feel welcome. But don’t stop there. Recognize the new hire again at 90 days, six months, and then one year. You can also take these moments as opportunities to check-in with the employee and allow them to provide you feedback with their experience so far. 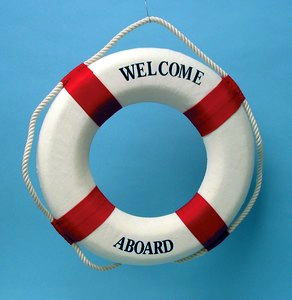 Using these onboarding best practices will help new hires consider your company as a long term career. In fact, they will be 69 percent more likely to stay after three years and you won’t have to start the long, tedious interviewing process all over again in six months.